Shown here with other dry bean varieties, white dry lima beans are primarily grown in California. National Bean Day is today (Jan. 6). The Golden State leads the nation in many things, but did you know that California farmers supply virtually all of our country's dry lima beans? California farmers grew about 23,000 acres of baby and large limas with a value of about $30 million in 2012, according to the National Agricultural Statistics Service. 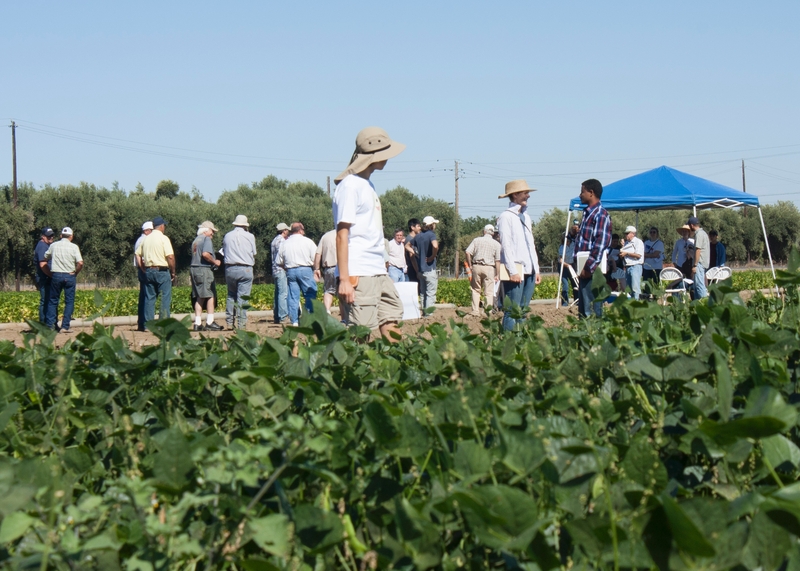 “While that's not a lot compared to some crops in our state, it's significant because California growers produce 60 to 80 percent of the world's market of dry limas,” said Rachael Long, UC Cooperative Extension advisor. The primary export market for California baby lima beans is Japan, where they are used to make Japanese confections, such as sweet bean filling for manju. Dry lima beans, which are canned or packaged for domestic or export markets, are grown in California. Thick green lima beans for freezing are grown on the East Coast. Among California lima beans, there are baby limas and large limas, and bush and vine types of both. Baby limas are grown primarily in the Sacramento Valley, while the large limas are grown south of Tracy and on the Central Coast. Large limas grown on the Central Coast are mostly dry farmed and used for canning. Rachael Long, left, discusses lygus and nematode resistance in lima bean varieties at a 2014 field day. “Lima beans are primarily grown as a single summer crop in the Sacramento and San Joaquin valleys,” said Long, who serves the Capitol Corridor counties of Yolo, Solano and Sacramento. Farmers like to grow lima beans because they fix nitrogen, improve soil health, use relatively few pesticides and help control weeds in field crop rotations with crops including wheat, corn, tomatoes, alfalfa and sunflowers. Because lima beans are not a widely planted crop that would attract research investment by private companies, growers depend on UC research for improved varieties. 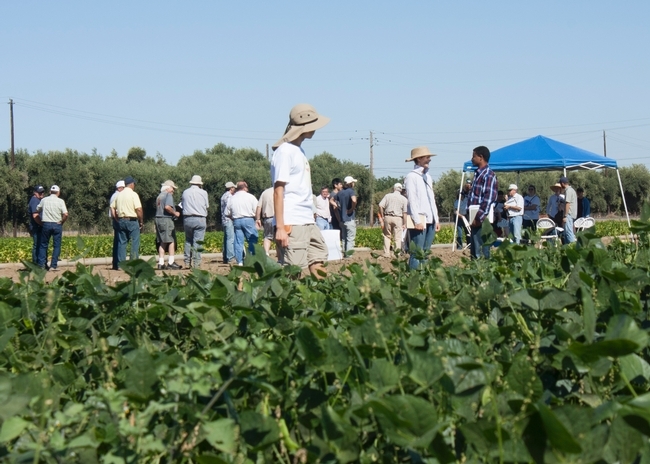 These dry bean varieties are tested for yield, drought tolerance, pest and disease resistance by UC Davis graduate student Sarah Dohle and UC Davis professor Paul Gepts. Lygus bugs, which feed on buds and flowers, are very destructive to lima fields. Long and her colleagues recently published a lima bean production manual, which includes a list of large and baby lima varieties available in California and their pest-resistance levels. To help protect groundwater quality as required under new farm plans, the manual also features a table of nitrogen rates for lima production based on nitrogen levels in the soil and water. “Lima Bean Production in California” can be downloaded for free at http://anrcatalog.ucdavis.edu. 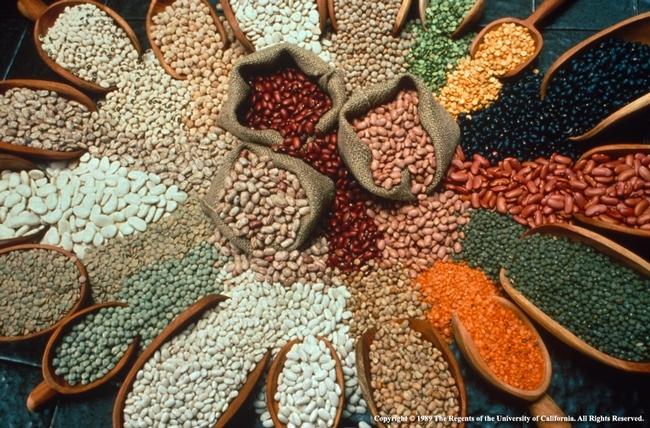 UC also has published cost of production studies for dry beans, including baby vine and bush types: "Sample Costs to Produce Beans-Common Dry Varieties-Double Cropped in the Sacramento Valley" and "Sample Costs to Produce Beans-Common Dry Varieties-Single Cropped in the Sacramento Valley." The production cost studies can be downloaded for free at http://coststudies.ucdavis.edu.